Composed by Camille Saint-Saens. Edited by Leonard Rose. Published by International Music Company. 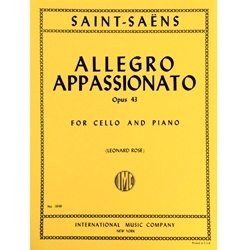 This piece of music is used in certain years for the New Hampshire All State Music Festival cello audition.